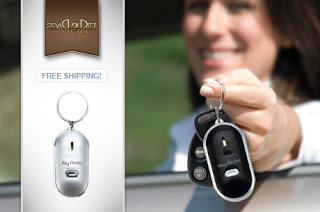 As low as $5 for 2 Whistle Key Finders + Free Shipping! Today only, new Eversave members get a $5 credit when they sign up. Use this credit to score two whistle key finders for only $5 plus free shipping! (Current members can get the deal for $10) When you whistle, the key finder flashes and beeps to help you find your lost keys!